ShoreTel Connect Mobility puts desk phone features on all popular smartphones and tablets so your customer’s employees can stay in touch professionally no matter where they go. You can even install Shoretel Connect on to an Apple Watch! With the ShoreTel Connect mobility app, users will enjoy all the call handling and directory features of their ShoreTel desk phone and they’ll also be able to fully collaborate. Conferencing, video calling, instant messaging and online meetings are easy from everywhere. ShoreTel Connect mobility features enable workers in the field to always appear professional because their caller ID will present their business number to customers. They can be reached through their single office number and never have to give a personal mobile number to a customer again. The Connect mobility app’s ‘Today’ screen shows scheduled audio conference calls, with a simple “Join” button to connect immediately–with GoToMeeting and WebEx calls supported, too. ShoreTel Connect supports ShoreTel Conferencing, enabling iOS users to participate fully in collaboration sessions, viewing spreadsheets, presentations, and work sessions from others’ desktops. 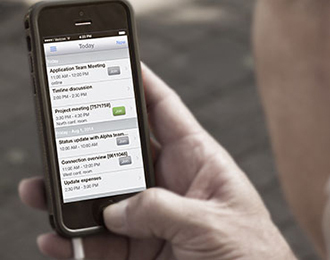 ‘Today’ screen has a one-click ‘Join’ button for conferences that eliminates complicated dial-in numbers and passcode entries. Automatic Wi-Fi/mobile call handover, especially important when entering a building that has poor reception or when travelling and needing to avoid cell data roaming charges. ‘Dual persona’ separation between business and personal calls, to keep business relationships professional. Peer-to-peer video calling and instant messaging to let employees communicate how they want, when they want, where they want. SRTP security for both voice and unified communications signals, even in public hotspots. 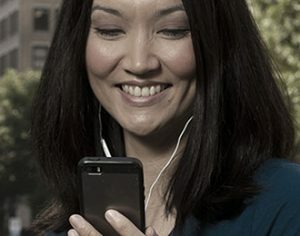 It’s easy for authorised users to download the ShoreTel Connect mobility app and ShoreTel Conferencing from their iOS or Android app store. Authorisation for services is provided by the system administrator through either ShoreTel Connect Director or ShoreTel Connect Portal. Gary Gould EMEA Marketing Director, ShoreTel.